Inspired by designer lighting found in boutique hotels, the Sparks S Wall Lamp by Eichholtz combines Art Deco style with a sleek aesthetic. 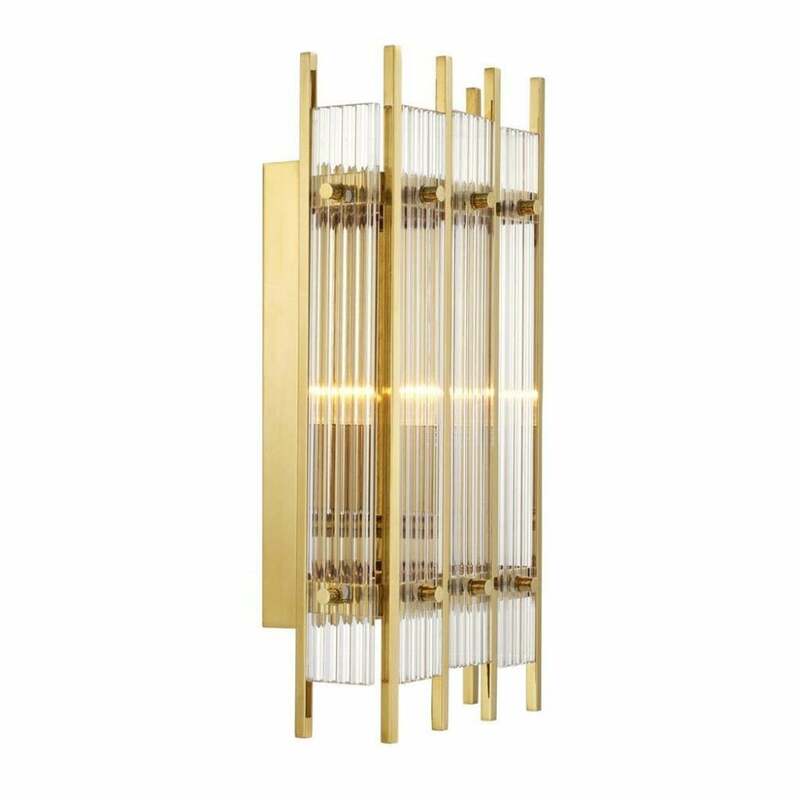 Crafted from panels of clear glass in a linear effect, this elegant wall lamp is held in iron framework with a polished nickel or gold finish. The Sparks Wall Lamp is a sophisticated and refined lighting addition for any modern home. Place in a lounge, hallway or bedroom area to add a stylish ambience to the space. Position alone for an instant focal point in lost corners of the home or combine as a pair for a statement look with symmetrical appeal. Get in touch for more information.